How did you do on yesterday’s quiz, inspired by my re-watching Harry Potter and the Deathly Hallows Part I? Check your answers below to find out! 1. How did Hermione ensure that her clandestine activities did not affect her loved ones? She used the spell “Obviate” to wipe her parents’ memories and sent them to Australia so they couldn’t be harmed. 2. How many fake Harry Potters are there at Privet Drive? 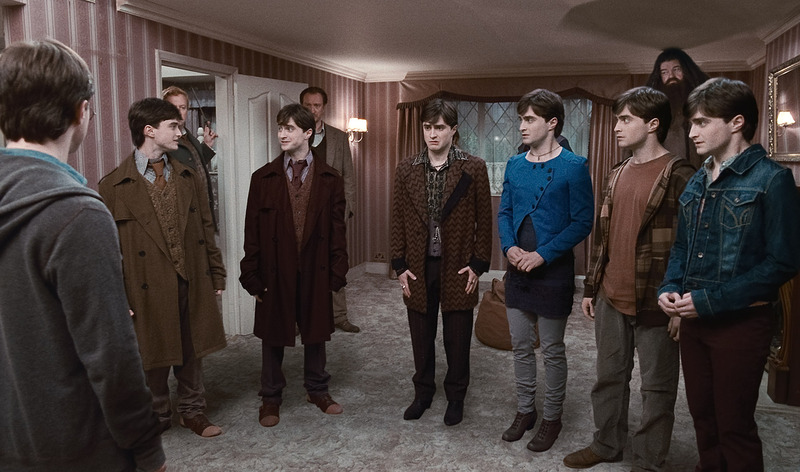 There are six fake Harrys for a total of seven Harrys. 3. Why did Snape reveal the plan to move Harry Potter to Voldemort? In order to maintain his cover within Voldemort’s inner circle, Snape had to give the Dark Lord credible information. Once again, Snape’s role as a double agent poses some serious ethical issues! 4. How do Lupin and Shacklebolt verify each other’s identities? 5. What open source intelligence does Harry use to learn more about Dumbledore’s past? He reads about a new autobiography written about the Hogwart’s late headmaster. 6. How does Rufus Scrimgeour attempt to find out what Harry, Ron, and Hermione are up to? He personally visits the Burrow to watch the Trio react to the gifts they received from Dumbledore in his will. He is highly disappointed to discover that neither Harry nor Ron nor Hermione have any idea why Dumbledore would give them those things. 7. What kind of code is hidden in the Tales of Beedle the Bard? The whole fairy tale series could be considered open code — the truth is hidden in plain sight as stories everyone tells their little witches and wizards. 8. Who is Elphias Dodge? 9. Where does Hermione take Ron and Harry after the Death Eaters crash Bill and Fleur’s wedding? This is a bit of a trick question. In the movie, Hermione takes them to Shaftesbury Avenue. In the book, she takes them to Tottenham Court Road. In most cases, she says she accidentally took them there because it was a place she went with her parents as a child. 10. What is Hermione’s “black bag”? As many of you know, a “black bag job” is a covert operation in which spies typically use just what is in their bag to infiltrate the enemy’s headquarters to find information. Hermione has enchanted her bag to hold just about anything she would need on their undercover operation.